One look and it’s clear that you have never laid eyes on anything quite like the Inada DreamWave™ massage chair. After just one session, you will feel how completely different and luxurious the DreamWave is compared to any other massage chair. The DreamWave™ massage chair has been designed to enhance natural healing and wellness through the healing power of shiatsu massage and impeccable Japanese quality and design. The result is a massage chair experience that optimally enhances health and well-being while reducing stress. It’s all part of what makes Inada the World’s Best Massage Chair™. Although the DreamWave™ is similar in appearance to the previous generation Sogno DreamWave, retaining its award-winning design and legendary Japanese manufacturing quality, the enhancements and upgrades push this chair into its own category. 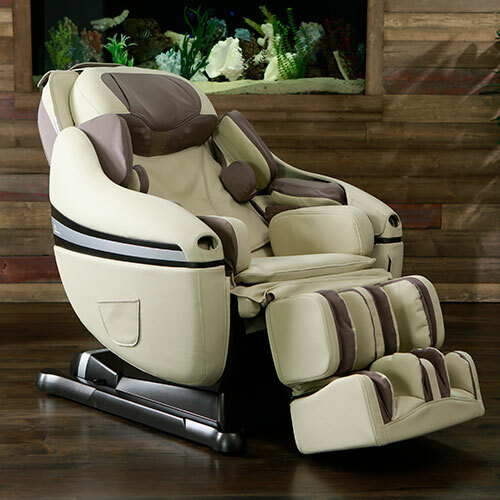 As you slip into the DreamWave massage chair, you feel it envelop your entire body in comfort and repose. The DreamWave maximizes relaxation by covering more area than any other chair on the market – 1,200 square inches. Shiatsu Point Locator - Patented body scanning technology customizes each massage session to your individual back profile. Full Upper Body Massage - Just the right amount of pressure and motion for an ultra-relaxing shiatsu massage, covering your neck, shoulders, arms and hands. [New Feature] Infrared Back and Seat Heat - Lumbar and seat heating is available for added relaxation and comfort. Hip and Thigh Massage - Inward motion and outward release melt away muscle soreness and fatigue. Calf, Foot and Sole Massage - Gently embracing air cells provide soothing rhythmic compressions. DreamWave Technology - An undulating figure-8 motion that balances the body and delivers complete relaxation. 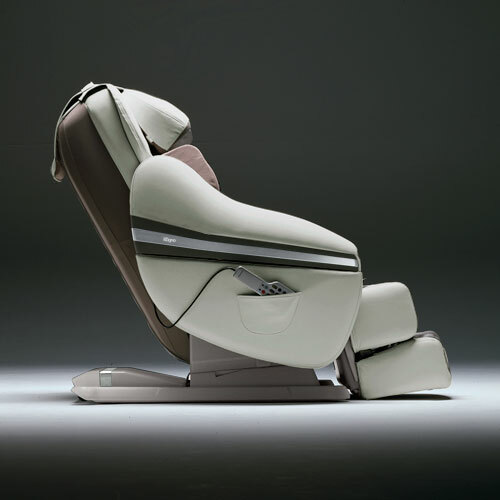 Over 1,200 Square Inches of Coverage - The most comprehensive and customizable body coverage of any massage chair. [New Feature] Deep Relaxation Setting - Brings variation to core group of massages with slow, methodical movements designed for a hypnotic, thoroughly calming massage. Youth Session - A gentler massage experience engineered especially for children. [New Feature] Hand-Held Remote - 16 pre-programmed massage sessions—more than any other massage chair + over 1,000 possible manual massage combinations. All designed to be simple and intuitive. [New Feature] Smartphone Pocket - Complete your massage experience with relaxing music from your smartphone or MP3 player.